Beverly Hills: Sunday, January 10, 2016, 6:30 p.m. Thousand Oaks: Monday, January 11, 2016, 8:00 p.m.
Redondo Beach: Tuesday, January 12, 2016, 8:00 p.m.
Pasadena: Wednesday, January 13, 2016, 8:00 p.m. The Honorable Henry M. Paulson, Jr., served as 74th secretary of the U.S. Treasury (2006-2009), CEO of Goldman Sachs (1999-2006), and chairman of the Nature Conservancy (2004-2006). Paulson played a critical role in many events that have shaped our nation: as Treasury Secretary navigating one of the most tumultuous eras in U.S. economic history, Chairman/CEO of Goldman Sachs leading its unprecedented, exponential growth, and in the Pentagon and White House helping to end U.S. involvement in the Vietnam War. With an adept appreciation of the financial and business challenges facing the U.S. and the world, Henry (Hank) Paulson is one of the most prominent and powerful voices on today’s geo-economic landscape. Since leaving Washington, the former Treasury secretary has worked on bridging the gap between the U.S. and China through the Paulson Institute, which he describes not as a think tank but as a “think and do” tank. When Hu Jintao, China’s current leader, came to visit the New York Stock Exchange and Ground Zero in 2002, he asked Hank Paulson to be his guide. It was a testament to the pivotal role that Goldman Sachs had played in helping China experiment with private enterprise. Four years later, Paulson (now Treasury Secretary) was looking at the world’s second largest economy and fastest modernizing military from a different perspective–that of a statesman who was responsible for safeguarding the U.S. financial system from a behemoth he had helped to empower. 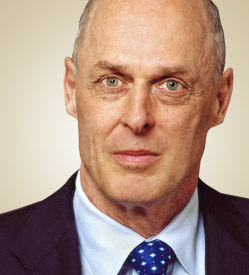 Hank Paulson has dealt with China unlike any other foreigner. As head of Goldman Sachs, Paulson had a pivotal role in opening up China to private enterprise. Then, as Treasury secretary, he created the Strategic Economic Dialogue with what is now the world’s second-largest economy. He negotiated with China on needed economic reforms, while safeguarding the teetering U.S. financial system. Over his career, Paulson has worked with scores of top Chinese leaders, including Xi Jinping, China’s most powerful man in decades. Paulson graduated from Dartmouth College in 1968 and received an M.B.A. from Harvard University in 1970. He is involved in a range of conservation and environmental initiatives having served as Chairman of The Peregrine Fund, Inc., and Chairman of the Board of Directors for The Nature Conservancy and was Co-Chairman of its Asia/Pacific Council. He and his wife, Wendy, have two grown children and four grandchildren. Paulson is the author of two best-selling books, On the Brink: Inside the Race to Stop the Collapse of the Global Financial System, and Dealing with China: An Insider Unmasks the New Economic Superpower. 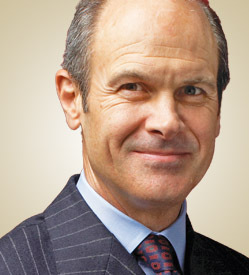 Geoff Colvin is an award-winning thinker, author, broadcaster, and speaker on today’s most significant trends in business. As a longtime editor and columnist for FORTUNE, he has become one of America’s sharpest and most respected commentators on leadership, globalization, wealth creation, the infotech revolution, and related issues. As anchor of Wall Street Week with FORTUNE on PBS, he spoke each week to the largest audience reached by any business television program in America. Geoff’s new book, to be published August 4, 2015, is Humans Are Underrated: What High Achievers Know that Brilliant Machines Never Will. This will be his fourth book others include, his groundbreaking bestseller Talent Is Overrated: What Really Separates World-Class Performers From Everybody Else, The Upside of the Downturn: Ten Management Strategies to Prevail in the Recession and Thrive in the Aftermath and Angel Customers & Demon Customers: Discover Which is Which and Turbocharge Your Stock. Born and raised in Vermillion, South Dakota, Geoff is an honors graduate of Harvard with a degree in economics and has an M.B.A. from New York University.